Read our essential fire safety checklist for small business owners. Every commercial building should take fire prevention seriously, but small businesses tend to have more at stake than other companies. Small business owners rely on their business’s ability to function, and a fire in their building can lead to devastating circumstances. While not every fire can be prevented, there’s a long checklist of ways to ensure your business is as safe as possible from fire risks. Fire protection systems are crucial in every business, especially fire extinguishers, fire alarms, and a commercial fire sprinkler system. Requirements vary for different areas and buildings, but the typical requirement is that every 3,000 square feet of area need a fire extinguisher. There are also different types of fire extinguishers used for various purposes, so every business owner should know which fire extinguisher is right for their specific business. For restaurant owners, an automatic fire suppression system is also crucial, as over half of all restaurant fires involve cooking equipment. The system automatically dispenses chemicals to suppress a cooking fire and will shut down the fuel or electric supply to other cooking equipment in the kitchen when activated. In order to reduce the chances of a fire and to follow emergency protocol in the event of an emergency, it’s critical to be aware of your building’s occupancy ratings. Every building has a specific occupancy rating to control how many people are in a room or building at one time, and they are laws that must be followed to ensure safety. Your small business also needs an evacuation plan to ensure your employees and customers will be safe in the event of an emergency. 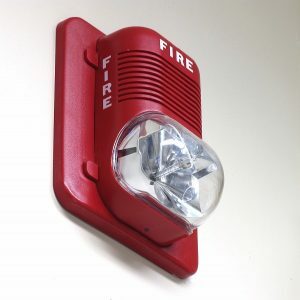 Many businesses do not think they need to make a fire evacuation plan and decide to skip this step of fire protection. However, a solid evacuation plan can prove to save lives in a fire event and is crucial for your small business. The plan should at least have a preferred method of reporting emergencies, an evacuation policy and procedure, an emergency escape route, and safety procedures to follow during a building fire. This entry was posted on Wednesday, March 28th, 2018 at 4:37 pm. Both comments and pings are currently closed.